Rare is the person who has not, at some point in his life, had to be admitted to a hospital. It can be one of the most terrifying experiences of our lives. The Zoroastrian religion emphasizes that each trial and tribulation must be faced calmly and firmly. We must strive to learn something new from every experience, whether good or bad. I recently underwent surgery to repair a spinal injury and spent one week in hospital. While it was a very painful and distressing time for myself, and more so for my family, I used the days in bed to think about the various everyday difficulties that may be faced by a practicing Parsi. 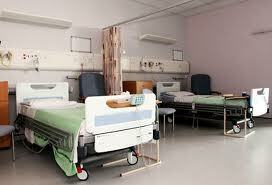 How can we stay faithful to the rules of our religion, while lying on the hospital bed? Could we devise a set of guidelines and to-do’s to ensure that we remain a good, God-fearing Parsi, even in hospital? Before coming to the practical guidelines, a small note is necessary on the mental setup that a Parsi should have in such conditions. One of the results of severe pain is brutal honesty. When faced with the prospect of being admitted to hospital or while undergoing relentless pain, the mind often wanders to our past deeds – good and bad. In our tiny, three-dimensional mind (which is incapable of grasping the secret Truths of Nature), we begin to theorize and rationalize as to why we have been put in this situation. We try to find a cause-and-effect relationship between something we may have done (or not done) and the current agonizing situation. In the normal course of our lives, we often rationalize or give convenient explanations for our sins. We try to pass them off as small, or justify them by thinking ‘I would have hurt him more by telling the truth…’; ‘it’s only a small lie which won’t hurt anyone…’; ‘this is the age of lies, so what if I did something dishonest…”; ‘it’s for my business and everyone cheats in business…’ and so on. But much like the person who is picked off the road by the police and given third-degree treatment to confess his real and imaginary crimes, our feeble mind, in the throes of pain, immediately accepts the various sins that had been earlier passed off as being justified. The mind even accepts things it may have not done, just to ensure that the pain is eased! Often the true Patet is offered in the throes of extreme pain. This is the mental state of a person in those moments of panic and pain. Those of us who are faithful Parsis, who pray every day and try to follow the precepts of the religion as far as possible are also put to the test by the pain. ‘Why did this happen to me?’ ‘Why is God not helping me in this?’ ‘Am I not special for Him?’ are questions that may form in the minds of the faithful. But is this the right way to think? What does our religion say about these moments? Our Master, Ustad Saheb Behramshah Nowroji Shroff, beautifully explained the concept of the cause and effect relationship which is called ‘Keshash’ (Avesta: paityoget). Ustad Saheb explained that the entire cosmos moves forward on the Law of Action and Reaction. However, the time frame for the cause and effect relationship can stretch for many years, far greater than the average life of an individual. Thus is it inconceivable for the human mind to understand the true cause and effect relationship between two incidents. What we may consider as an effect for a specific cause, may in fact be a cause which will give rise to an effect later on. The Master further revealed that there are two main types of Keshash which govern the lives of all creation. In an age where truth is prevalent, where the Zoroastrian monarchy is present, and where the precepts of the faith are fully and easily followed, in such times, fortunate individuals are born whose Keshash is considerably clean-cut – that is, the cause and effect relationship is clear and may be finished off in one life span itself. This is known as Keshash-i-Saade. But in times when truth is at a premium, when religion is no longer the mainstay of our lives, when those who sin seem to be favoured more than those who are honest, in such times, unfortunate individuals are born whose cause and effect relationships are very convoluted. The owner of the cause and the recipient of the effect may not born in the same time frame or in the same region where they can interact with each other and set off their obligations. What may look like a clear case can actually give rise to very intricate relationships later on. Such persons are born with what the Master called Keshash-i-Masavati. Their cause and effect relationships are like a large ball of string, which has got all mixed up. Try as we may, it is not possible to get the string untied and clear. We are living in such times, where the honest are persecuted and the unjust go scot-free. Therefore, the Master cautioned us, that we should not attribute any imaginary cause and effect relationship between the events that may happen in our lives since that assumption may be wrong, in almost every instance. Thus whatever distress and pain may come upon us, one thing is clear – it is of our own doing. What is unclear, is of course what exactly set off the distress. While our mind can only go back to a few years of the current life, various reactions of earlier deeds (or misdeeds) may also visit us in this lifetime. Thus it behooves faithful Parsis to remember the words of the Nam Setayashne prayer: ‘pa farman i to Khaver’ ‘as is the Wish of the Lord.’ The Patet Pashemani prayer illuminates this thought further when it says, in the 12th Karda: ‘pa neki sepasdar hom, az anai khursand hom’. ‘I am thankful for the good given to me by the Creator, and I am contented with the distress too.’ The Gathas also expound this principle beautifully, in Yasna 29.4: ‘Hvo vichiro Ahuro, atha ne anghat, yatha hvo vasat’: Ahura is Himself the Lord, the One-Who-Judges-Good-and-Evil. Therefore let happen unto us, as He Himself Desires.’ [A more detailed explanation of this sentence is given in the post ‘How to overcome a tragedy’]. These quotations from our scriptures do not point to fatalism, but rather they advocate the acceptance of reality – that what comes to us is due to our own actions. But a request is made to God to help us bear the load of retribution in a happy manner. Thus even in those times of pain and distress, the crying and questioning mind can be easily pacified by repeating these sentences in our thoughts. May Lord Ahura Mazda shower His Choicest Blessings on you. I am confident that the signal service you are rendering to the community will very much enhance the progress of your soul. As i have said before i really admire the stoicism with which you manage your life. We would love to read the next part soon. So let me join in to pray and wish that Dadarji grants you a quick and complete recovery. God bless and a speedy recovery. Atleast honestly bearing the pain and not cursing someone for it is as good as cleansing the soul. Gob Bless and a quick recovery, we need you back to what you do best….